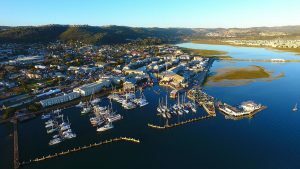 Jeffreys Bay is justifiably one of the best holiday destinations of South Africa, with surfers and people flocking in from all over the world for its legendary waves, sunshine, dolphins, surfer points, classic reefs and game reserves. It is the idyllic place for holidays. Given its location, Shaloha Guesthouse is a mere stone’s throw away from the ocean. The guesthouse is situated at a prime spot – the ‘Supertubes’ (or surfer’s spot), where the Billabong Pro international surfing competition is held annually. 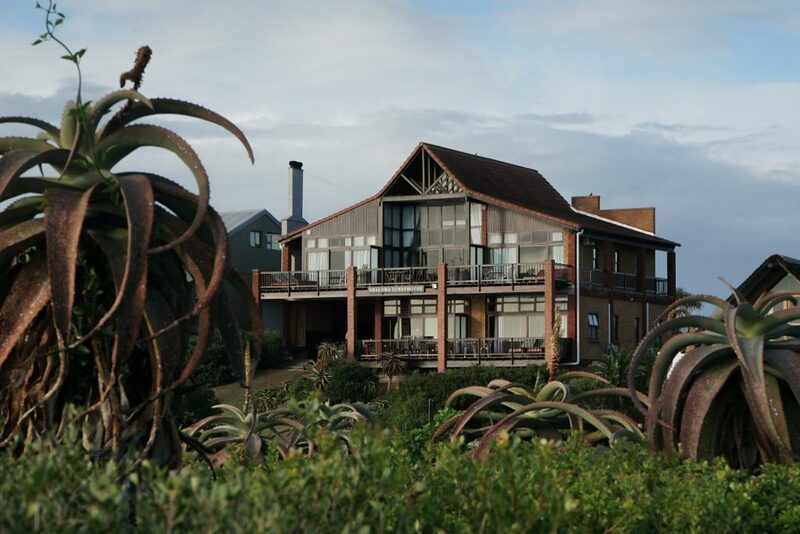 I found their communal areas spacious and include a large dining area, a comfortable lounge area with a TV, a fully-equipped self-catering kitchen, which opens up to an outdoor braai area overlooking the bay. 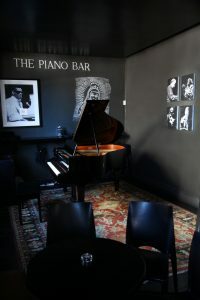 On the second floor, there is a lounge with its very own library for guests to use and a fully-equipped kitchenette and minibar. 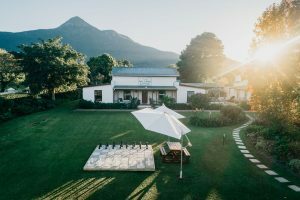 In addition, Shaloha offers five luxury en-suite rooms, each fitted with their own bar fridge, DSTV, high speed Wi-Fi, air conditioning and an expansive deck. The rooms are crisp clean and beautifully-decorated. 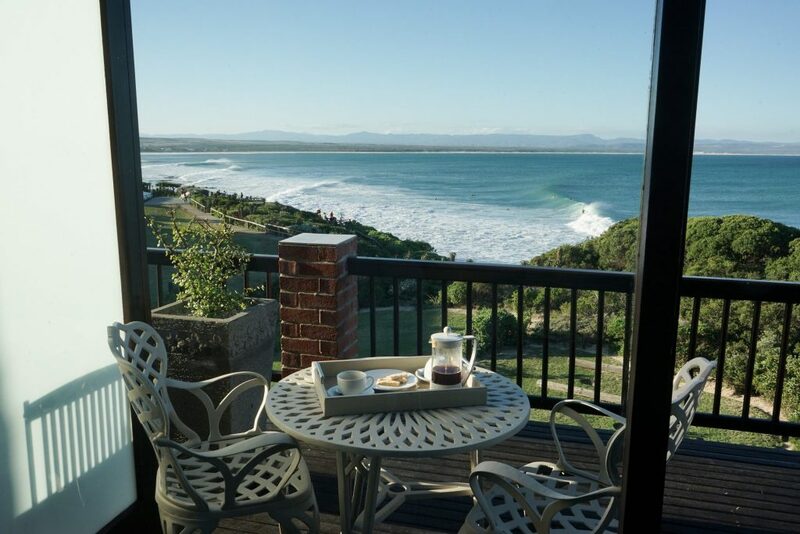 From three of the rooms, one can enjoy superb views of the ‘Supertubes’ and the rest of the Jeffreys Bay coastline. The remaining two rooms overlook the town. 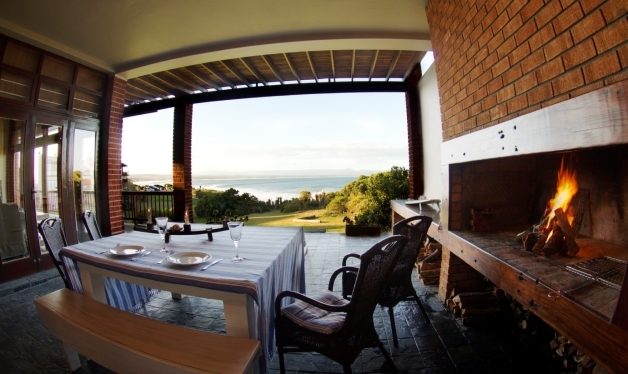 If you are a romantic couple planning a weekend escape to J-Bay, I found the White Milkwood Suite just perfect. It is the ideal Honeymoon suite with its own gas fireplace, free-standing bath, Daybed, sun loungers and of course a view of the bay. 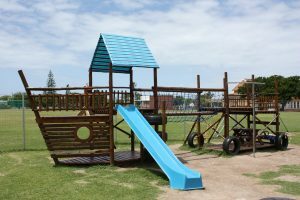 There are plenty of activities to do while on your holiday in Jeffreys Bay, including the Shell Festival, surfing, sandboarding, beach horse trail rides, skydiving and bungy jumping. 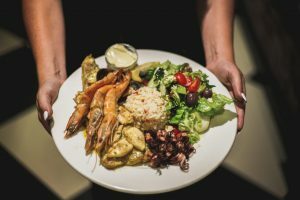 Jeffreys Bay also has a handful of exquisite restaurants like Kitchen Windows, Nina’s, J-Bay Bru Co and even a restaurant /micro-brewery, Brewhaha, which are within reach of Shaloha. If you love staying close to the ocean, friendly people, great food and wildlife and want an unforgettable stay in Jeffreys Bay, then I strongly recommend Shaloha Guesthouse. To find out more or to book your stay, shalohaguesthouse.com, or call 074 6365 133.